Who remembers the Generations Selects series? Well, we certainly hope you do to! Following our article on Select Series Red Swoop and Ricochet, we have some more news on this line! The collector oriented "Select Series" toyline, should be unveiled soon. Hopefully we'll see pictures of soon "red" Swoop as well as Ricochet (a black and gold repaint of POTP Jazz). Both listings were previously found on Midtown Comics. 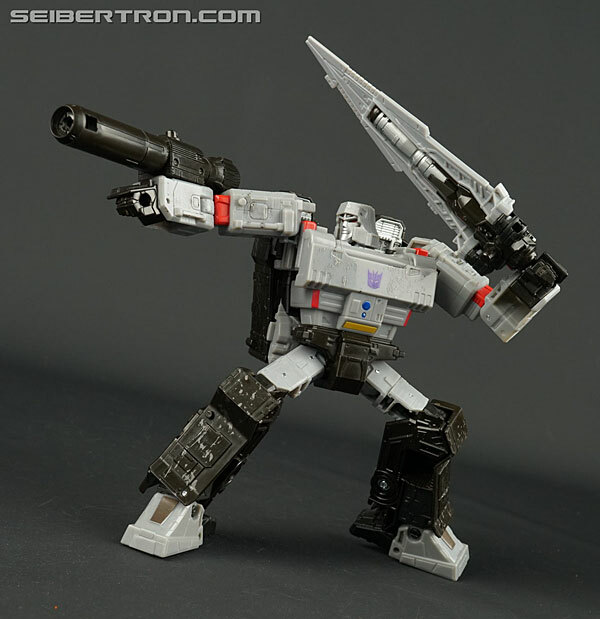 We also know of one of the new upcoming figures, Combat Hero Megatron in arctic camo colors! He is to be a redeco of the new Siege Voyager Class Megatron. 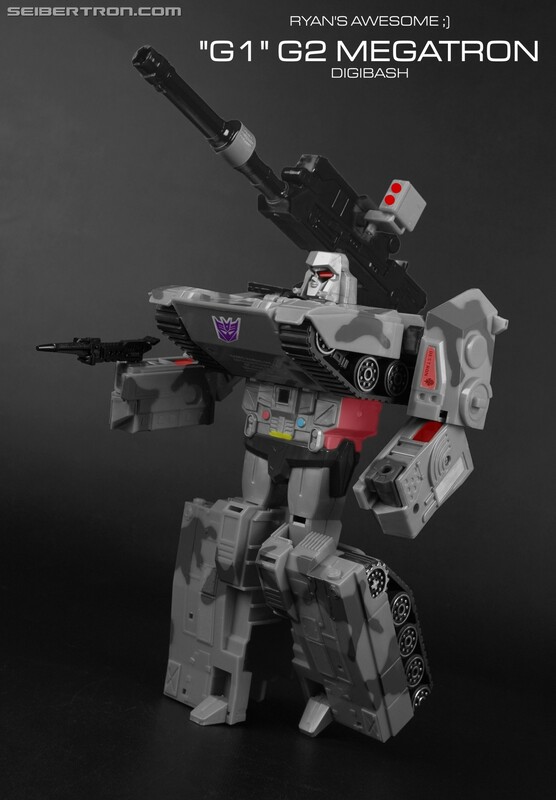 For those who don't know, Combat Hero Megatron in arctic camo colors is an unreleased redeco of G2 Combat Hero Megatron. The gallery for this unreleased figure can be found here. The toys will be available at specialty stores and online, similar to Combiner Wars Deluxe Class Quickslinger, Brake-neck and Groove. They will be available in cases of 24. So, are you excited? Be sure to tune in to us for additional news about this collector oriented line, and leave a comment in the Pub forums below! 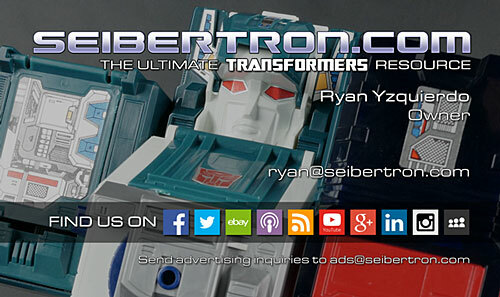 Re: Transformers Select Series Leaks, Rumors, Reveals and more! I'm struggling to justify getting the Siege Megatron figure. I like the mold and the size, but I just have so many Megatrons. 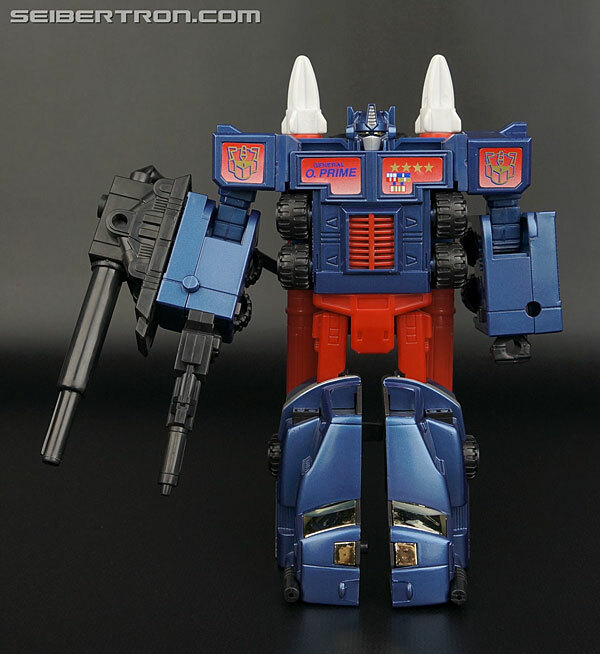 I would be more tempted if they released it with the more traditional G2 color scheme. And yet we never got a G2 Megatron for Titans Return and probably won't. Caelus wrote: I would be more tempted if they released it with the more traditional G2 color scheme. I would be more tempted if they released it with the more traditional G2 shape. Siege Megatron looks amazing, and I am aching to get my paws on one, but the mold is made to be G1 cartoon Megatron, not his G2 reimagining. He's got to have a big, protruding chest made up of the front of the tank. He's also got to have a way to mount the Fusion Cannon over his right shoulder, not on his right forearm. If Hasbro is going to release some G2 goodness in this "Select Series," why not give us a nice G2 Sideswipe from the new Siege mold? That'll work perfectly! G2 Sideswipe was always a straight up repaint of his G1 mold with new weapons. ...woah, where did all this info come from? That seems like it came out of nowhere. 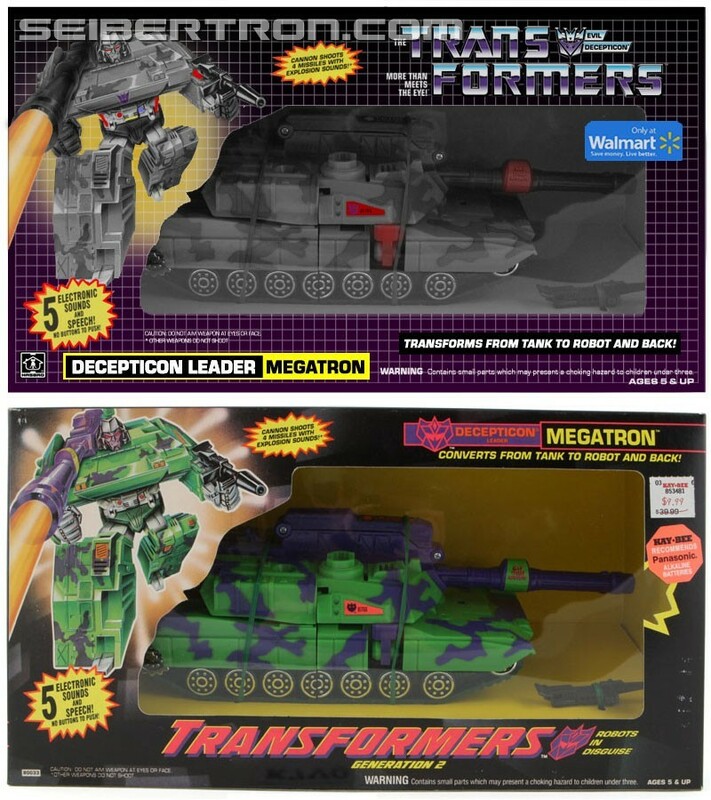 That is exciting though, as this means that the Select Series is it's own separate line/collection of bonus exclusives (seemingly) that has access to current and past Generations molds, not just PotP, and is not only more than just two figures, but includes figures from multiple size classes. They could make new figures of...almost anyone within reason with this, if all that's true. True, we do need a proper G2 Blastoff but that's even LESS likely. Same with G2 Defensor. 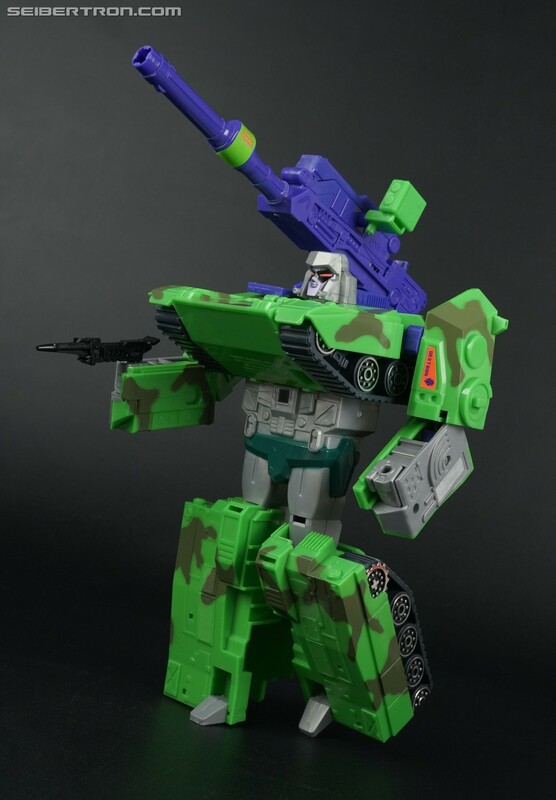 Glad they're using this line to get us some G2 decos, but I would've preferred the Blinding Green And Purple deco, and maybe on TR Megs instead of Siege so he has a more Earth-style tank mode instead of an H-tank. Wolfman Jake wrote: Series," why not give us a nice G2 Sideswipe from the new Siege mold? That'll work perfectly! G2 Sideswipe was always a straight up repaint of his G1 mold with new weapons. At this point, I think that might almost be guaranteed. Not so sure are the weapons, but I do hope for them. Last edited by Jeddostotle7 on Wed Nov 28, 2018 6:22 pm, edited 1 time in total. 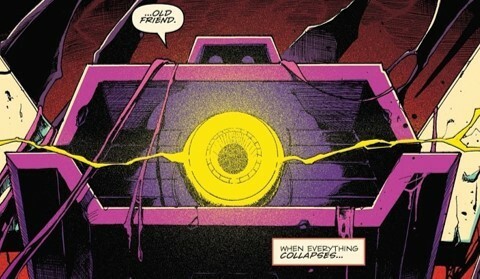 Jeddostotle7 wrote: Glad they're using this line to get us some G2 decos, but I would've preferred the Blinding Green And Purple deco, and maybe on TR Megs instead of Siege so he has a more Earth-style tank mode instead of an H-tank. Not to mention it would look good alongside the already G2 Hero Megatron that Takara Tomy released under the Transformers Legends line. 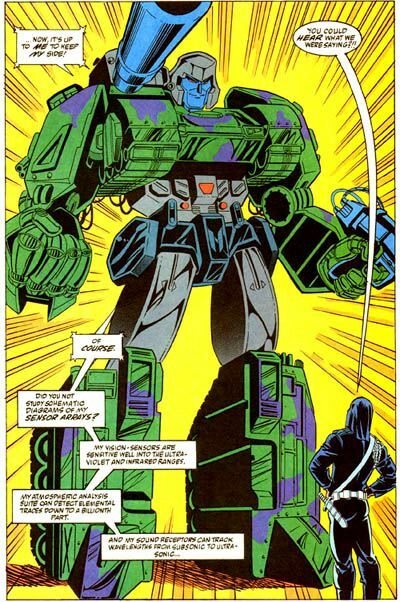 However, I would also love to get a modern G2 green tank Megatron that is a proper update to that toy. Heck, I'd also like to get this as part of a G1 reissue line as a way to get a G1 Megatron on store shelves. Though I'd prefer it not have the camo deco and instead had an all-silver deco like Generations Leader Class Megatron. Not to mention it would look good alongside the already G2 Hero Megatron that Takara Tomy released under the Transformers Legends line. Yep. Then we'd have a small collection exclusively of modern G2 Megatrons. The reason a TR version of the original G2 Megatron would be great is because then he'd be perfectly matched with the TR 'Laser Rod Optimus Prime'. I'm still surprised Takara didn't give us a Reverse Convoy homage out of TR Megatron. All they needed to do was include a Prime Headmaster in the box, they had 3 too choose from, and paint Megatron Blue. Yes it would have had a Jet Mode Reverse Convoy never had, but it was an extremely easy exclusive to make. Funpub did a Megatrron in those colors less than two years ago as part of the final FSS. Granted, this will be a lot cheaper, but it's still a bit redundant compared to, say, Ricochet. Zeedust wrote: Funpub did a Megatrron in those colors less than two years ago as part of the final FSS. Granted, this will be a lot cheaper, but it's still a bit redundant compared to, say, Ricochet. As a Pretender Legion Class figure, not as a Voyager. Big difference in my book. I need both of these things in my life! If they do a G2 Blastoff, it would be amazing if it included G2 Decepticon symbols to cover up the erroneous ones on the other figures. Hmm, interesting choice for the arctic camo Megatron. I was thinking of getting this to be my be-all-end-all Megatron, but maybe I'll skip the retail depending on what the Snow Camo look ends up being. here's hoping Ricochet comes with a Siege Battlemaster! I probably wont get Megatron unless we get a blue Optimus Prime to go with him as his counterpart. I was happy to get the Legends purple Megatron because I had the exclusive Laser Optimus Prime that I could somewhat place against him, but this arctic Megatron on his own doesn't do anything for me. This will look good next to my Action Hero Megatron and my GDO megatron! D-Maximal_Primal wrote: Hmm, interesting choice for the arctic camo Megatron. I was thinking of getting this to be my be-all-end-all Megatron, but maybe I'll skip the retail depending on what the Snow Camo look ends up being. Why not the venerable Universe Nightstick mold? Overcracker wrote: I'm still surprised Takara didn't give us a Reverse Convoy homage out of TR Megatron. All they needed to do was include a Prime Headmaster in the box, they had 3 too choose from, and paint Megatron Blue. Emerje wrote: I probably wont get Megatron unless we get a blue Optimus Prime to go with him as his counterpart. Yeah, but I'm guessing Emerje wants a more properly-scaled Voyager-class one instead of a Deluxe.